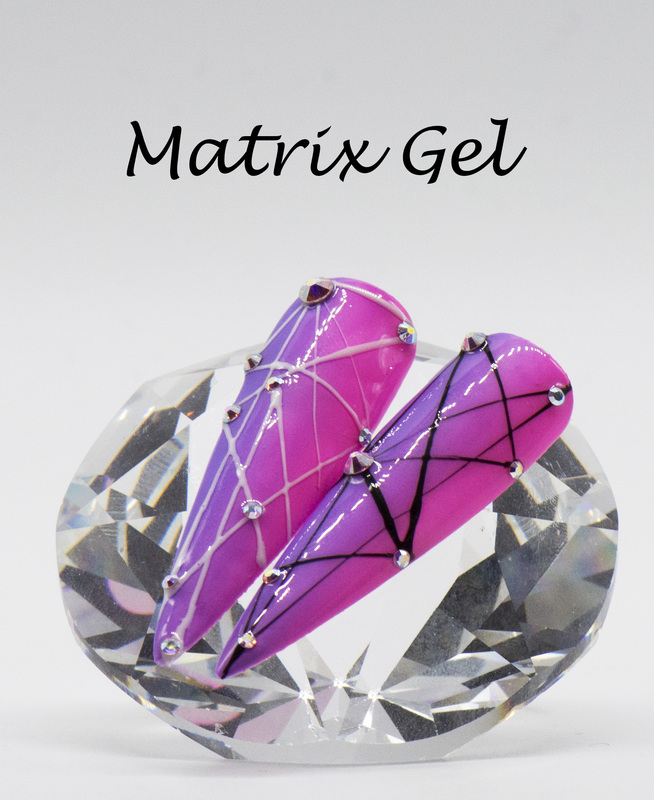 Matrix Gel is a one of a kind brand new functional gel. Perfect for drawing lines between dots, creating patterns such as Matrix, Web and Checked Images. 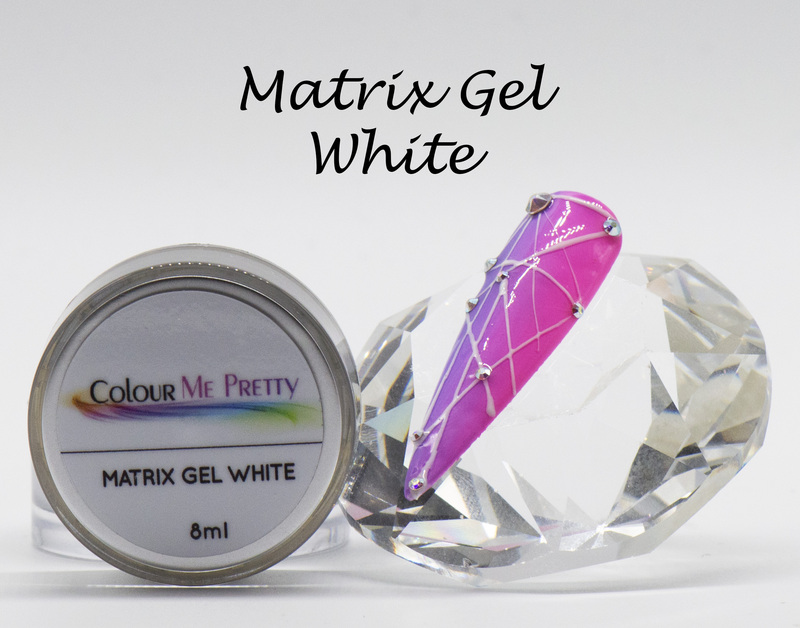 Only available in Black and White at the moment, Matrix Gel is a thick, sticky gel with amazing Tactility, it can draw lines from one point to another quickly and easily. 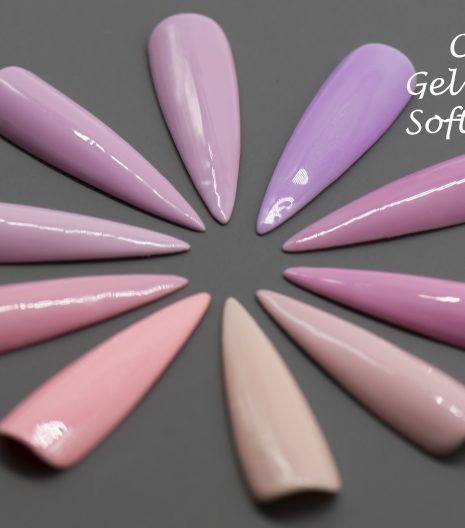 We can’t wait to see the designs you come up with using this very cool and versatile gel. For application its a personal preference as to what you use to apply Matrix Gel, either a small dotting tool, a toothpick or a fine line brush.